Hello ... Hello ... my old friends ... It's great to see you once again! I was looking at my ELO music video [VHS] collection the other day and was reminded of my longstanding desire to see some of them [finally] released on DVD. 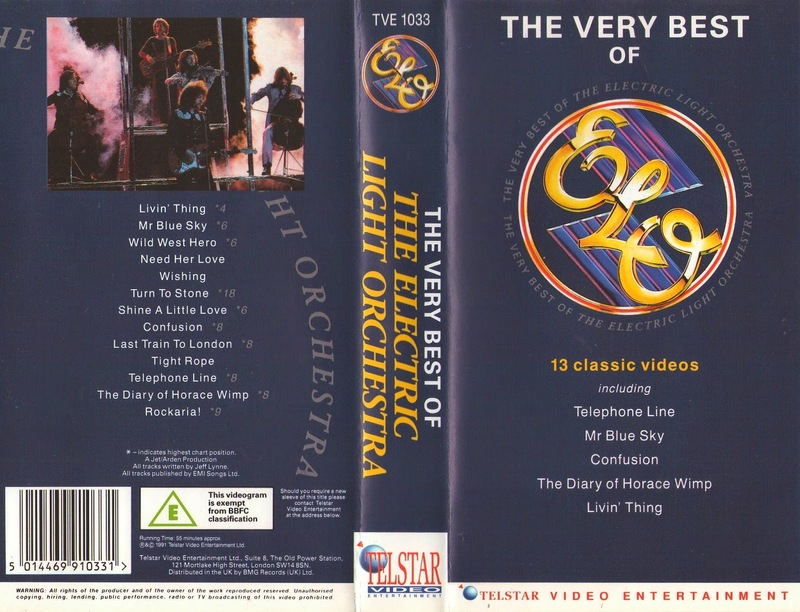 The videos in question are "The Very Best Of The Electric Light Orchestra" [a 1991 compilation of ELO promotional videos from various sources featuring tracks from "A New World Record" through to "Discovery", released by Telstar: #TVE1033] and "Electric Light Orchestra Part Two: Live In Concert With The Moscow Symphony Orchestra" [an edit of their legendary NEC gig, also released by Telstar in 1991: #TVE1037]. 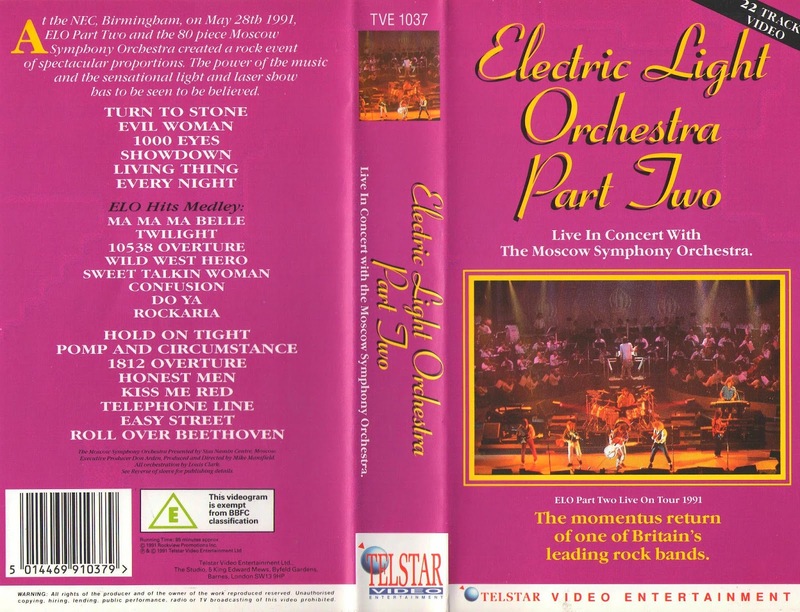 Telstar are no longer around so the question of who owns the rights to the ELO Part II/MSO live video needs to be resolved and, in addition to that, one of the biggest mysteries for me is why Sony BMG have never released an ELO Video Hits DVD. Yes, most of the video footage can be accessed on the internet, but ELO fans have never seen an official physical release of the bands music videos whereas other artistes [with the same or lesser legacy and pedigree as ELO] have long since released such compilations. ELO Beatles Forever [ELOBF] have covered this subject before within these articles in 2009 and 2011 respectively. Yours Truly KJS hopes that one day soon, Eagle Rock Entertainment or Sony Music will add to their roster of ELO related releases with some or all of these two long deleted audio visual rarities transferred to DVD and/or even Blu-Ray. JUST LOGGED ON TO THIS SITE AS OF APRIL 30/2016, ANY UPDATE ON ELO PART 2 AT BRUM DVD ISSUE ?